Popular Enneagram authors commonly name Type Fives the Observer, Investigator or Thinker because they are analytical, intellectual, perceptive and independent. Type Fives have a strong capacity for knowledge gathering, complex skill development, invention and innovation. They are intellectually curious, insightful and intense and become highly focused on their mental pursuits. They have a strong independence and self-reliance that serves others as a rational observer who can offer an objective point of view. Their practice of thinking before they act and not jumping to conclusions allows Fives to be very logical and calculated in their actions. Type Fives value understanding and they envision making the world more enlightened place. Type Fives disengage from feeling in order to observe and focus their attention on thinking. Friends value them and seek them out for their knowledge and detachment. You might be a Type Five if you are a deep thinker who’s focused on gaining knowledge. You are also reserved and withdraw from others’ emotions. Fives excel at innovation by applying knowledge, expertise & technical skills. Although this could be used for any purpose, Fives introverted, independent, and cerebral focus is ideal for research positions and academia. 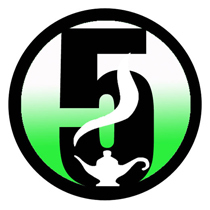 Typically Fives enjoy scientific career paths like Astronomer, Physicist, or Computer Scientist or esoteric knowledge like Philosopher, ancient languages or archeology. Fives tend to serve certain roles for others including the repository of knowledge, wise man or woman, impartial expert. Type Five’s weaknesses and negative tendencies are related to their detached intellectualism. They tend to become eccentric and isolated in the fantasy world of their minds. They can become preoccupied with imaginary constructs that others find meaningless and unimportant. Fives feelings of comfort in their mental pursuits makes it hard for them to participate in physical world and turn their thoughts into constructive action. Because they feel the world will demand too much of them or that they will be powerless to act in the world in its current state, they strive for separation from the world and self-sufficiency in their lives. They practice minimizing their physical and emotional needs. They learn to become quite nihilistic, emotionally cold, and purposely distance themselves from essential resources and nurturing. Although weight gain always has a multi-faceted cause, there are some typically behaviors of Type Five seen in the Big Five personality Trait system that encourage them to gain weight. As a group Fives score the lowest on “Agreeableness” and “Extroversion” than any other Type. They also sore highly in “Openness.” These traits combine to form someone who flees from the external world and retreats into the inner sanctum of their minds. They look to stockpile knowledge that will help them survive until they are ready to rejoin the world. They have come to feel that support in the world is unreliable so they must learn things for themselves and get by with less. By minimizing their needs and they reduce attachments with worldly things and are prone to skipping meals. They enjoy knowing that they require very little to sustain themselves. They may get by with a diet that is lacking in basic nourishment such as chips and soda. This behavior may cause them to be significantly hungry and binge when they do eat. They usually do not spend much mental energy on resisting temptation. For this reason, they are more prone to environmental/convenience foods when they are actively investigating a topic. Fives are so emerged in their thoughts that they oftentimes do not prepare foods or pack for the day and instead tend to eat whatever is available. Type Fives have a complex nature — they are temperamental yet private, introverted yet competitive, and freethinking yet fatalistic. Overall Fives must use their desire to seek knowledge and understanding to empower themselves for fitness. They must take time from their mental work to work on their physical body, which will ultimately make their minds sharper. Fives enjoy their privacy and yet they also have a strong desire for Competition. This competition is typically in the realm of abstract or eccentric ideas. Massive on-line role-playing games are a perfect fit for Fives personality traits but this is not helpful in getting them to be physically active. Fives enjoy solitary activities that are independent, require minimal planning and allow for mental reflection and therefore should enjoy activities such as running, cycling, hiking or gym machine aerobics. They enjoy competing against themselves and seeing if they can surpass their last record. Fives tend to avoid group activities and the mob mentality. Type Fives are mostly unconcerned with the outside world and how their appearance represents them. Their dressing decisions may be mostly related to convenience. They are confused with style and fashion trends and typically do not concern themselves with the latest fashions. Overtime Type Fives will oftentimes stick to the same outfit style or whatever is convenient. Their fashion statement says, “Image is not what is important.” Five may appear poorly groomed or their attire may not be appropriate for the situation as if they were oblivious to type of event they were attending. Their dress may be meek or awkward. Or they may show up with the same outfit that they bring to every event. It is not characteristic to see type Fives with significant adornment, tattoos or jewelry. Type Fives home and office space is likely to be highly disheveled and Spartan. Fives are more concerned in the realm of their minds so that they computer and books may be prominently displayed. Their penchant for fantasy may be visible with posters of fictional characters or scientific models. They are less concerned with neatness and presentation and more with ideas. So that they may focus on a TV room or a coffee table as the area they choose to entertain guests. It may be striking to others the simple living conditions in which the Fives live. They may have little to offer guests, few choices and no creature comforts. They may not have guest bedrooms or duplicate pillows and sheets. When judging their bodies, Fives are overly harsh or negative and underestimate their inherent physical prowess. They are inherently objective, detached and analytical but their trust and focus is on the inner world. They tend to rely very little on the body for their accomplishments. This internal focus causes them to be oblivious or unconcerned about their current physical condition or appearance. Fives link their identity with that of their inner world, or their jobs and hobbies. These affiliations do not tend to be physical in nature. Type Fives fear being helpless and this causes them to focus on learning skill mastery and knowledge gathering. Feeling weak in worldly pursuits or social events, Type Fives typically withdraw from interaction. Instead they look for situations where they are “in their element” and can demonstrate their desirable skills. Five are unlikely to expend energy on physical improvements unless they see it weakening their area of expertise or making it harder to reach their goals. In order for Type Fives to maintain a healthy lifestyle they need to focus on a mental pursuit that also has a physical component. Also, health should be framed to Type Fives as preventing limitations in your mental pursuits such as avoiding diabetes that causes blindness. Type Fives over-express thinking and become preoccupied by their mental pursuits. They will oftentimes forget to eat or they will snack on convenience foods while on a distracting train of thought. In order to continue their mental acrobatics they may not eat regular meals, and instead eat at odd unscheduled times. Their nutritional intake is oftentimes woefully deficient in wholesome and nutritious foods. Type Five’s preference for the world of ideas, and comfort in privacy, emotional distance, and penchant for collecting or hoarding behavior may manifest in different ways in regards to food. Type Fives may have areas of interest regarding food such as wine collecting and this may drive their cravings. Or there may be a food that is rapidly available such as a convenient store or coffee shop that caters to their sensibilities. If they have a specific food vice such as coffee they will likely have investigated many different types and understand much about the coffee making process. In this way they can become an educated “foodie” that may know many trivial or esoteric tid-bits about a type of food, its production and history. Many times, however, Fives eat rather poorly — “on the go” or munch unconsciously during screen time. Type Fives problems with overeating are when they use it to fill inner emptiness, when they mindlessly eat while thinking about a project, or using eating like a hording behavior. The online book, “Your Fat, Your Fault,” suggests that their food metaphor for that food is bothersome to prepare or that food is like money to horde or avoid due to cost. Type Fives have a sense of frugality and may shop at discount or bulk stores and stock up on convenience type foods. The intent may be to have lots of food at home so that they would never have to leave the house. By bulking up they can avoid going to the store and interacting with people. Fives’ preferred meal settings may be alone with a good book, or at the computer investigating their latest topic of interest, prepared in the most convenient way (microwave) and eaten without much fanfare or presentation (snack-like). Fives typically choose foods based on proximity, ease of preparation and clean up because they are mentally involved in something else. They are often detached and do not absorb much of the “now” or present experience. In this way the food they eat may go unnoticed or unappreciated. Fives tend to study or collect knowledge about an esoteric topic to increase their self-esteem. This is especially true during times that the physical world is exacting some demand on them. They retreat into mental pursuits to avoid dealing with a more pressing physical or real problems. During these times Type Fives may be snacking (eating poorly) and eating without any concern for long-term health. In a similar way Fives often have a hard time taking care of themselves — looking unkempt or dressed haphazardly. Fives are more inclined to drink caffeine, a mental stimulant, and snack on sugar to get a quick mental boost as opposed to eating more sensibly. Sometimes, Fives eat to control or squelch an emotional experience as Fives are more comfortable with a mental experience. Type Fives’ hidden calorie situations are during screen-time. They may be collecting knowledge but they must beware that they are also be collecting calories. Type Fives do not seem to require many creature comforts, and their lifestyles are typically not that indulgent or dangerous. They must cautious if their intellectual passion deals with food or alcohol. Type Fives often consider what meal will provide the most food for the value. Type Fives will offer no commentary about others’ foods or ask to share. They may feel annoyed or protective if others are asking to share their food. Foods that represent Type Fives are free convenient meals, with a caffeine drink or snack foods eaten at their computer desk. In regards to Types Fives adopting food changes into their diet, they have the will power to make significant change once they set their powerful mind to it. The key is making the food substitutions convenient and becoming educated regarding healthy choices. Fives fear being incompetent or helpless and withdraw into their minds in an attempt to master the subject of their attention. They tend to withdraw from social interactions and responsibilities in order to devote time to their mental pursuits. This may leave them with little motivation to exercise or develop themselves physically. Also, some Fives may relish in their weight in order to seclude themselves from the demands of others. The key to Fives motivation to instill the concern about their physical selves, that the mind and body are interconnected, and that health in the body will improve their mental prowess and longevity. Type Fives are typically sedentary and oftentimes sit for hours reading or in front of the computer. Fives therefore tend to have very little background energy expenditure in terms of their physical bodies. Fives lean toward obscure skill based exercises that they can master and have the upper hand when exercising with others. Fives tend create a self fulfilling prophecy of being physically underdeveloped so it may be helpful for Fives to start a steady weight lifting routine. Developing their strength will give them confidence to open up in other social realms. Another helpful exercise type includes martial arts because it focuses on confidence building, self-protection and mind-body awareness. Fives tend to be loners and are disagreeable when it comes to others recommendations for exercise. Type Fives seek to gain power in the area they feel most comfortable — the inner world. This can be a significant limitation to their physical fitness. Using their power seeking motivation as self-empowerment is key. Fives should focus on becoming stronger and more confident, and also about how general health will improve their mental prowess. Fives have a Spartan quality to them and tend to care little about the working environment. They prefer seclusion when they exercise to allow themselves to think while working out. They may enjoy being mentally distracted by their favorite obscure TV show or science fiction series. Fives want to limit social demands and may annoy or isolate themselves from a potential workout partner. They don’t like group activities or being bossed around about others. They like to make up their own goals and be the masters of their own development. Fives dedication to a physical goal is usually high once they overcome the hurdle of the initial motivation and once they have made up their mind for themselves. Type Fives are willing to try new things in terms of their mental environment and oftentimes scour the internet or books for knew, exciting and empowering information. Like they are collecting tools to use for the future. In the physical realm, Fives may be more hesitant to try new things unless they have studied it in depth first. Type Fives have a significant drive to attain the goals they have set for themselves. If they do set a physical goal they are often successful and put forth the intensity needed to active results quickly. Once Fives have a physical goal and fitness routine they may start to begrudge time away from their mental pursuits. New and interesting topics constantly spark their curiosity and they risk falling back into sedentary screen time. Fives may wonder if they have the physical power to complete a task or work out. They may think of how tired it will make them for their other mental pursuits. Fives don’t like their weaknesses highlighted and seek seclusion when exercising. If they have to be in the spotlight, then they may experience significant performance anxiety and withdraw or quit the activity. Five should feel empowered by exercise and motivated to continue. Care should be made to allow for little successes that feel good and encourage the Five to continue as opposed to highlighting weaknesses.